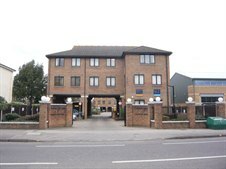 Cattaneo Commercial investment department have sold an office investment at Thames House and Thames Mews, Esher to an Off-Shore Trust for a sum of £4.6 million i.e. 7.75% net yield. Thames House provides 15,225 sq ft of offices in 5 self contained buildings, with up to 60 car parking spaces. Cattaneo represented a private investor in the sale.